Sebastian Rochford draws his year-long Days And Nights At The Takeaway singles club to a close with this remarkable release, bringing together two of the UK’s most recognisable and influential musicians, Brian Eno and Underworld's Karl Hyde. 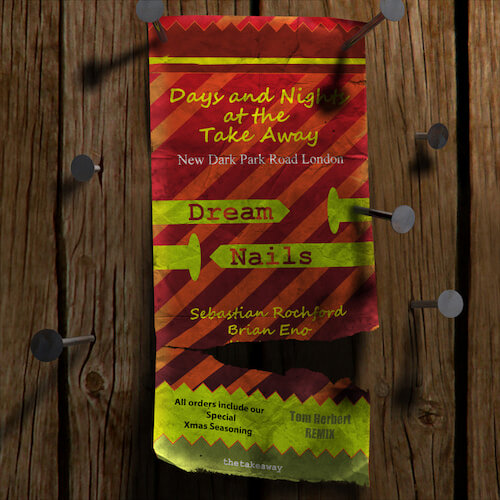 Not only that, but ‘Dream Nails’ is the first song in the series that Seb himself sings on. This month, Seb’s Polar Bear bandmate in Tom Herbert provides a sterling remix.